← “Through endurance we conquer.”* Are humans really the only ones who can make it across Drake’s Passage? Our sample is predominantly composed of people who already use preprint servers or plan to do so in the future – so keep this in mind. 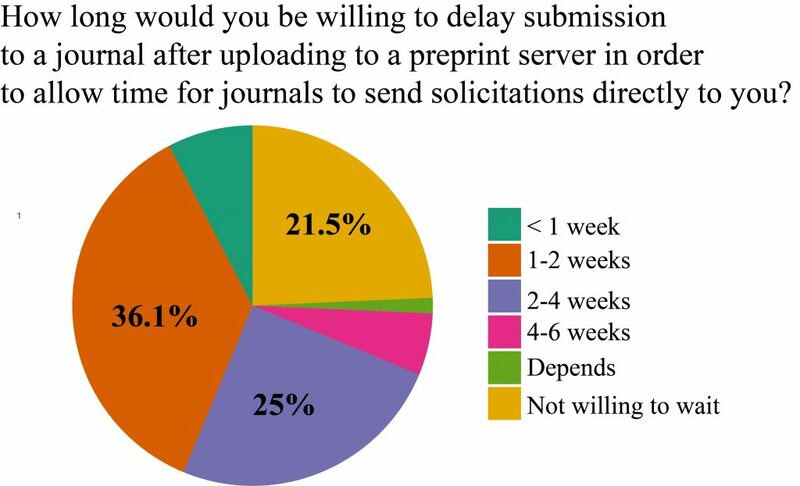 Most people would respond positively to journal solicitations and are willing to wait up to 2 weeks after submitting to a preprint server to receive a solicitation. Most people see journal solicitations as beneficial to the field in general. There are concerns about the need for accountability and transparency in the solicitation process to avoid bias, and preprint solicitation potentially enabling predatory journals. Now onto the results (link to raw survey data). We had a nice mix of people across career stages responding, weighted towards postdocs (33.8%) and graduate students (26.2%). Most respondents (63.8%) either have already or plan to upload their manuscripts to preprint servers like BioRxiv, with only a small portion saying they are not planning to use preprint servers (7.6%). The majority of respondents would either respond favorably (56.6%) or neutrally (27.6%) to receiving solicitations on their preprints, with a sizable number of people saying that it would depend on the journal and the reputation of the journal doing the solicitation. A major question regarding preprint solicitation is whether and how long people are willing to wait after uploading a manuscript to a preprint server to receive solicitations from journals that are interested in the publication. There was a sizable number of respondents that were not willing to wait at all (21.5%), but most people were willing to wait either 1-2 weeks (36.1%) or 2-4 weeks (25%). Overall, most of the respondents (61.5%) agreed that direct solicitation of preprints from journals to authors was beneficial to the field in general, with many caveats such as concern about this this being another tool for predatory journals, and the necessity of fairness and transparency in the process to avoid bias, such as yearly reports on solicitations and outcomes. 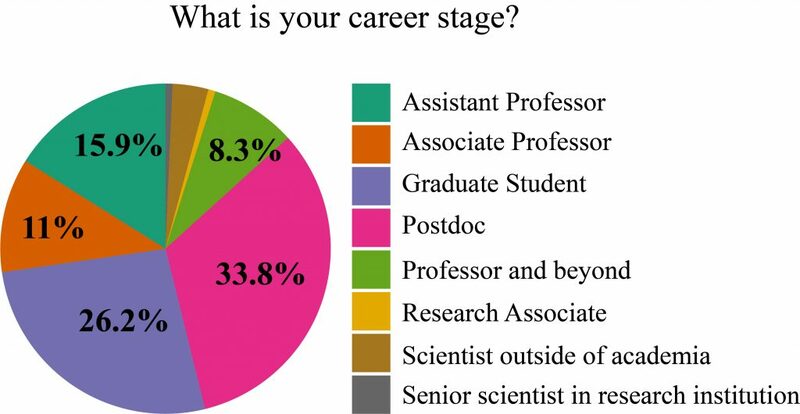 We were interested in seeing how these responses might vary based on career stage, so we quickly and crudely grouped respondents into either Early (Grad student to Assistant prof) or Mid/Late (Associate Professor and above) career stages. Keeping in mind a large difference in sample sizes (n = 110 for Early career vs. n = 28 for Mid/late career respondents), overall, Early career respondents were more likely to either currently use or plan to use preprints, and more likely to view preprints as beneficial to the field than Mid/late career respondents. Mid/late career respondents were less likely to be willing to wait after submitting a preprint to receive a solicitation and were more likely to be neutral about responding to those preprint solicitations. Thank you again to everyone who participated in the survey. There is also a nice commentary and discussion over at the Dynamic Ecology blog on this issue that is definitely worth reading. Please head over to the comment section there to read about some personal experiences with journals soliciting on preprint servers. This entry was posted in community, Molecular Ecology, the journal, science publishing and tagged bioRxiv. Bookmark the permalink.